We sometimes overlook the value of human labor. 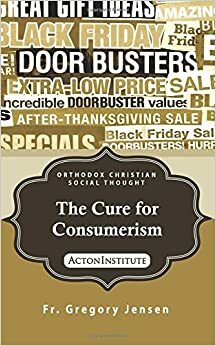 Often what most Christians do Monday through Friday is a distraction from what really matters, working for the Church—or more typically “our” parish (though as Fr Alexander Schmemann pointed out once, we would often condemn a man for doing for himself what he does for the parish; but this is a problem for another time). A superficial reading of St Paul certainly lends itself to minimizing the importance of how most of us spend most of our time. And to be fair, for many people work can be, at least a times, boring or worse. And yet, while we need to acknowledge that it is often otherwise, our ability to work is a blessing from God and reveals our likeness to Him. The centrality of work to our humanity is why the Apostle can use human creativity and productivity as an illustration of his own evangelical ministry. Like work, evangelism is a creative and cooperative process. And, like work, evangelism is about bring the creation—materially and socially—into an ever greater conformity with the Gospel. If I limit myself to simply explaining the Gospel, I fail as an evangelist. Why? Because human beings are not simply intellectual creatures. We are also social and material being and so the evangelical work of the Church needs to extend to those areas as well. This is why as well as great preachers like St John Chrysostom, the assembly of saints include men and women who excelled in all kinds of human endeavors. Apostles, prophets, teachers, miracle workers, unmercenary healers, helpers, and counselors of all sorts (see 1 Corinthians 12:28) doesn’t even begin to exhaust all the different gifts God has given His Church, given us, to redeem the world of persons, events and things. Putting this broader evangelical vision isn’t easy. Like the disciples in this morning’s Gospel, I sometime feel “beaten by the waves” and that the wind is against me. This doesn’t just happen because faith is weak, though in my case it is, but because in a fallen world life is hard. Living in a fallen world we should expect conflict and opposition even when we merely tell people about Christ and the Church. Merely to speak about the Gospel is enough to make some people angry. If we go further and proclaim the Gospel not only in words but in deeds that seek to shape the world around us according to the image of Christ we face an even stiffer resistance and a deeper angry. And it is that, the call to be better that is often the provocation. Even if it were possible to go our entire lives without criticizing or correcting others, even if we could somehow only say things that are positive and affirming, we would still be beaten by the waves of our neighbor’s anger and feel the wind of public opinion against us. You see even though I am a sinner, I love God. That’s not the problem. The problem is I also love my own will as much, or even more, than I love God. This is the tragedy and the sorrow of sin. Not that I love myself too much because I love God too little. I love God as if He were a choice, forgetting that it is the love of God that makes all my choices possible. And here misunderstanding is common. It isn’t that we love God but that He loves us; it is God’s love for us that makes our love for others and ourselves possible. In a fallen world love presents us with a curious temptation. Or rather, following St Paul, just as it did with the Law, Sin seizes the opportunity of love (see Romans 7:8) to turn me away from God and His love for me. Being “unspiritual, sold as a slave to sin” doesn’t mean that I don’t love. It is instead the case that while “I have the desire to do what is good, but I cannot carry it out. For I do not do the good I want to do, but the evil I do not want to do—this I keep on doing. Now if I do what I do not want to do, it is no longer I who do it, but it is sin living in me that does it” (see Romans 7:14; 19-20). I don’t so much need to learn to love as much as I need to learn to love wisely. The heart of the evangelical work of the Church to call people to love more wisely, to help those who love a little come to love deeply and sacrificially. And it is this call—not to be good but to be better—that so offends. My brothers and sisters in Christ, this is our task. Not simply to proclaim love but to build a parish, a Church and a civilization of love. May God grant us the grace and strength to do this even when we feel overwhelmed by the challenges of life, the opposition of the world and our own sinfulness.